Every year since I left Israel, at about this time of year, well-meaning, polite people wish me Happy Hanukkah. But I don’t celebrate Hanukkah because it is a festival that offends my values and ethics. People tend to think that it’s some kind of a Jewish version of Christmas, but they are wrong. The festival of Hanukkah celebrates the rededication of the Jewish temple in Jerusalem as part of a successful rebellion against the Greek occupiers in Judea during the period 175 to 134 BC. After Alexander’s death the Greek empire was divided and Judea became part of the Greek Seleucid Empire, which also included Syria. Antiochus IV Epiphanes, the ruler of the Seleucid Empire, turned Jerusalem into a Greek-style polis, built a gymnasium, turned the Jewish temple into a temple for the Greek god Zeus, and brutally suppressed Jewish religion. Practices like reading the Torah, circumcision and observing the Sabbath were banned and punishable by death. The rebellion led by Judas Maccabeus and his brothers was run as a guerrilla war against the Seleucid army but initially involved murdering Jewish collaborators who adopted Hellenic culture and religion. This guerrilla war involved many battles and in the end Judea was able to establish itself as a Roman client state and free itself from the Greeks. During one of the battles a band of rebels was able to overcome a small Seleucid garrison guarding the temple. They took it back and rededicated it as a Jewish temple. The word Hanukkah is derived from the root of the Hebrew word ‘inaugurate’ or ‘dedicate’. This event is celebrated in the festival of Hanukkah as a miracle from god with a few myths thrown in. One of those is the myth of the little can of consecrated olive oil that was found in a corner of the temple, and that miraculously lasted eight days allowing the Menorah to be lit for the eight days of the celebration. The Bar-Ilan University professor who taught us about Hanukkah as part of a unit on Jewish festivals said no one knows who made up this myth, but it stuck. It is told every year to little children in Israel and in Jewish communities around the world, as a way of conferring divine blessing on the successful rebellion against the Greek occupation forces. The problem I have with Hanukkah (and many other Jewish festivals) is that I refuse to celebrate a blood bath, glorify war or justify murder of anyone, even in the name of our own liberation or survival. Growing up, I learned so many stories about how our people resisted occupation and subjugation. They weren’t always about battles and wars. Sometimes they were just about the human spirit resisting subjugation regardless of a horrible cost. One of the goriest stories, and one that as a child I found also deeply moving, was about Hanna and her seven sons who were brutally murdered one by one in front of her because she refused to eat pork. We were taught in no uncertain terms that one does anything to be free, one does not bow to occupiers and one does not tolerate oppression or any attempt to subjugate our religion, our way of life or our national character. Given the realities of the Israeli occupation of Palestine, I find the hypocrisy of Hanukkah intolerable. It’s OK for us Jews to celebrate (hugely and spectacularly) our efforts to liberate our own people from occupation, no matter the cost, no matter who lives or dies on our side or the other. But it is not OK for the Palestinians. No-one condemns Judas Maccabeus and his rebels as terrorists. They are revered as freedom fighters with a just and even divinely decreed cause regardless of their brutality. The Greek occupiers are despised venomously in the story of Hanukkah, but no-one thinks there’s a problem with Israel being an occupier. Of course at this point supporters of Israel are likely to say that the comparison is unfair. Israel isn’t an empire like Greece was; it is only trying to be a safe haven for the long persecuted Jewish people. But do the reasons behind occupation and colonisation matter when their evils and crimes are the same? Another thing that is revealed in the documents behind Hanukkah is that there was horrible and bloody infighting within the Jewish community itself during that period. There was corruption and endless intrigue in relation to the position of the High Priest and his relatives, collaboration with the Greek occupiers, power, status and money. This is the kind of dynamic that happens when a people are under occupation, the power struggles that go with that and the different approaches to dealing with the occupation. It’s never pretty. So when people criticise the Palestinian people, I stay out of it and I always think to myself, What do you expect? This is what happens when people are under occupation. They are responding as human beings have always responded under similar circumstances, including us Jews. Why should the Palestinians be held to a different standard than the Jews back then, or the French during the Nazi occupation, India during British colonisation, the Scots or any other occupied group throughout human history? The problem is never with the response; it is always with the occupation. Colonisers and occupiers are not benign. They are cruel and exploitative, and there is nothing the colonised and occupied can do that will ever be right. No occupier ever tolerates any resistance, peaceful or violent. They crush them both because they interrupt and threaten the agenda of the occupier. Occupied people can do nothing right when dealing with a force bent on taking what they have and destroying them if they get in the way of it. I used to like Hanukkah as a child because it’s fun for children. You get to light pretty candles, sing really nice, albeit gory, traditional songs (Maoz Tzur is positively shocking if you know what the words mean), and eat yummy sweet, fatty food, like fried potato patties (latkes) and jam doughnuts (sufganiot). (Both of these are traditional Eastern European dishes, not really Jewish as such, but Israel has always been dominated by Ashkenazi culture.) So when I gave up all of this years ago, it was a little sad, but it’s been a worthwhile sacrifice to make so I can live according to my ethics. It’s time for Jewish supporters of Israel around the world, and in particular for Israeli Jews, to wake up and see the terrible irony of celebrating Hanukkah while Israel occupies the Palestinians. Why can’t they see that they are playing the part of the Greeks and that the Palestinians are responding the same way the Jewish rebels did back then? If Jewish culture glorifies and celebrates our rebellious and uncompromising spirit, why does it condemn that same spirit in others? Tags: israel and palestine, israel and palestine religion, israel and palestine religious conflict, palestinian rights. Filed under Israel and Palestine, israel and palestine articles, israel and palestine religious conflict by Father Dave on Dec 18th, 2012. 1 Comment. Father Roy writes: There’s an essay by Don Wagner in FOSNA’s mailing pasted below. My allies and I are giving it the widest possible circulation on the Internet. Don and I met in the Holy Land in April of 2004. I was in Jerusalem attending Sabeel’s Fifth International Conference on Christian Zionism. Don was one of the presenters. It was at that conference that Sabeel offered the Church a viable Christian Alternative to Christian Zionism and Rapture Theology, which can be studied at one’s leisure: www.cufi.org…. While at the conference I seized an opportunity to chat with Don and get to know him a little bit. We discussed some of the things he wrote about in the essay pasted below: “Witnessing History”. We talked about the news that was current. President Clinton had invited Benjamin Netanyahu and Yassir Arafat to Washington … at the same time … in another all-out attempt to resolve the Palestinian-Israeli crisis. Clinton’s courageous efforts were suddenly thwarted when the Monica Leiwinski story broke. Don and I commiserated and asked the right questions: “Who recruited Monica? Who trained her?” Please read on. Looking back from today’s vantage point leads one to affectionately remember the first Palestinian “Intifada” as “the good old days.” After all, it pre-dated the violent second Intifada, the Apartheid Wall, the disastrous Oslo Accords, and so much more. For me, the journey into the first Intifada began with my family’s arrival in Cyprus in mid-November, 1987, as I began a sabbatical that I assumed would be spent writing a book and volunteering for the Middle East Council of Churches. As soon as we arrived at our apartment, the kids turned on the television and we were amazed (in the pre-cable and pre-satellite era) we could pick up stations from Jerusalem, Cairo, Amman, and Beirut. I was eager to see how these varied perspectives would cover the Arab Summit underway in Amman. The Egyptian station observed that when Yasser Arafat arrived at the Amman airport, there was no official delegation to meet him, a serious insult in the Arab world. Moreover, the issue of Palestine had fallen to the very bottom of the Summit agenda. That’s the way it was in November, 1987. Everything changed on December 8th when a truck ploughed into a group of poor Palestinian labourers, who had lined up for menial day-jobs in Israel. Most Palestinians believed this was a deliberate act of revenge after an Israeli was stabbed two days earlier. It was actually the spark that unleashed pent up anger that was channelled into tremendous creativity after twenty-two years of military occupation. Immediately, massive demonstrations erupted across the Gaza Strip and spread immediately to East Jerusalem and the West Bank. Israel responded with the usual brutal force, sending the Israeli Defense Forces (the IDF, which was trained for military combat), to attack small and large demonstrations comprised mainly of youth throwing stones. As the casualty rates mounted among the Palestinians, the western media parroted the familiar Israeli narratives that pitted the tiny Jewish State defending itself against the violent Arab masses. By late December, the MECC decided to send me to the Palestinian territories for the month of January to assess how they might respond. Arriving in East Jerusalem, one could see and feel how the air itself seemed to breathe a new spirit of confidence and defiance. IDF patrols seemed to be everywhere but they were regularly confronted by the “Shebab,” groups of young men and occasionally women, who seemed utterly fearless. The “Intifada” was beginning to capture the imagination of most Palestinian factions, religious communities, and I sensed an emerging unity that had not been evident in my ten years of regular visits. The contagious energy generated by the “Intifada” was guided, at least in part, by an anonymous, underground leadership. It took several weeks for the PLO hierarchy in Tunis to catch up with events. The underground leadership issued “bayans”, or directives at least weekly. I recall having my morning coffee with friends and discussing the new “bayan” that was slid under the door or posted on the windshield in the middle of the night. Multiple strategies were spelled out, including boycotting all Israeli products, organizing local relief committees, marches commemorating an important date in Palestinian history, tax revolts, and rotating store closures. Like clockwork, Jerusalem merchants might be told to close their doors at noon, Bethlehem at 1 pm, Ramallah at 2 pm, etc. If shopkeepers did not comply, the “shabab” would pay them a visit. But there was a dark side as well. Casualties mounted and the “shabab” carried the brunt of the IDF abuse, with exceedingly high numbers who were martyred or seriously wounded. When Israeli Defense Minister Itzhak Rabin called for “beatings and the breaking of bones,” the “Shabab” were the main targets. Shortly after Rabin’s declaration, the Red Cross and Red Crescent documented the case was of three young men who were buried alive by the IDF after a demonstration in Jericho, supposedly as a warning to future protestors. Returning to Jerusalem, I met with Faisel Husseini and his staff at Orient House in East Jerusalem. Faisel was recognized as a key leader in the Jerusalem district and had gained the respect of all the factions. I was impressed with his vision for a disciplined, sustained, non-violent movement that needed the support of the international community. Faisel and I had signed an agreement a year earlier between his Palestine Information Center and our Palestine Human Rights Campaign in the U.S. He had hired and trained eight human rights field workers who were deployed throughout Palestine, and directed by Dr. Jan Abu-Shakrah in Jerusalem. Our Chicago office, directed by Dr. Louise Cainkar, received and organized the reports, sometimes daily, on the dead, wounded, and of the extensive human rights violations. Their work became a staple of reliable information for a broad network of journalists, academics, attorneys, human rights organizations, and NGOs. In retrospect, there are many legacies of the first Intifada that might be mentioned, but let me highlight two. The first observation is the power of organized, persistent, non-violent resistance. The 2004 call by Palestinian civil society to employ boycotts, divestment, and sanctions, including humanitarian flotillas and other creative challenges to Israeli power appears to be gaining momentum throughout Europe and North America. As more campus organizations, church bodies, and secular movements take up the call to boycott products made in Israeli settlements and move toward divestment, a movement for justice in Palestine is emerging. Organizations like Jewish Voice for Peace, the U.S. Campaign to End the Occupation, American Muslims for Palestine, and Students for Justice in Palestine, are beginning to cooperate using grass-roots organizing around these non-violent campaigns. In time, Israel will feel the pressure if the movement can expand significantly. A second observation is the absolute importance of unifying our efforts on peace and justice. The unity of Palestinian factions, classes, and popular organizations broke down at points but was sustained for over four years. We are beginning to see some modest signs of unity emerging among secular and faith based groups, however embryonic it may be. If a broad based movement can be organized and sustained in North America and Europe, not only would it be a first, but it could have a far reaching impact. A final lesson from the first Intifada was how it ended. The first Intifada forced Israel and the international community to the negotiating table. Unfortunately, the Palestinian leadership was seduced by the illusion of peace and the false promises of the Oslo Accords. The power of grass-roots resistance was lost, perhaps in part by four to five years of exhausting sacrifice, but also because everyone’s hopes shifted to support the negotiations. Perhaps the lesson here is to remain suspicious of negotiations, expect little, and keep the pressure on both Israel and the leadership, both in Palestine and globally. Perhaps there is no better component for a just peace than a unified and sustained grass roots international justice movement for justice in Palestine, both inside the Palestinian territories, one day within Israel, and globally, with no let up until there is a sovereign Palestinian state. Rev. 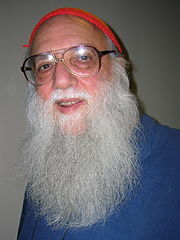 Dr. Don Wagner is the National Program Director for Friends of Sabeel-North America; was a Professor at North Park U from 1995-2010; National Dir. 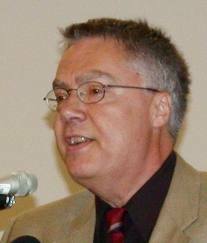 for the Palestine Human Rights Campaign in the 1980s; ordained Presbyterian minister and active with Israel-Palestine Mission Network of the Presbyterian church. He is the author of four books, including Anxious for Armageddon (on Christian Zionism) and Dying in the Land of Promise: Palestine and Palestinian Christianity from Pentecost-2000. Tags: israel and palestine, israel and palestine conflict, sabeel. Filed under Israel and Palestine, israel and palestine articles, israel and palestine conflict, israel and palestine religious conflict by Father Dave on Dec 16th, 2012. Comment. Father Roy writes: Another front in the Battle has opened up. The front of which I speak is in England: The Plight of the Rev’d Stephen Sizer. The article pasted below will explain. It’s a serious matter. I’ll write no more about it now, but lots of people will be writing about it in the near future. Sami Joseph wrote this morning that Stephen is under a great deal of pressure. The Jewish Establishment is standing adamant against him. Stephen’s Bishop has asked him to write a letter explaining himself. Here’s background information on the subject: stephen sizer – AOL Search Results. The article pasted below is quite comprehensive. 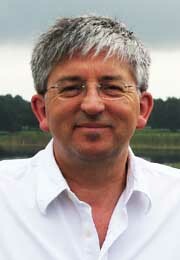 In a move believed to be without precedent in modern times, the Board of Deputies has lodged a formal complaint against Revd Stephen Sizer under the Church of England’s disciplinary process – an Act of Parliament known as the Clergy Discipline Measure 2003. The complaint is based on statements made by Revd Sizer that the Board regards as antisemitic and a series of instances where Revd Sizer has posted internet links to articles on racist and antisemitic websites. The BoD website has also published an opinion piece, evidence in support of the complaint, and an appendix. Earlier this month, Stephen Sizer hosted the UK branch of Jews For Jesus, who did not challenge Sizer publicly about antisemitism, but used Sizer’s church as a platform to promote their own organisation. One wonders if Jews For Jesus is surprised by this development. The BoD complaint follows a complaint from the Council of Christians and Jews about Sizer made this past year, and also a lengthy blogging campaign to highlight Sizer’s dalliances with antisemitism, much of which has featured here on HP. Tags: anglican church, israel and palestine religion, israel and palestine religious conflict, jewish board of deputies, stephen sizer. Filed under Israel and Palestine, israel and palestine articles, israel and palestine religious conflict by Father Dave on Dec 12th, 2012. Comment. 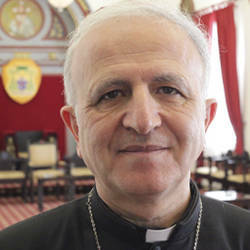 JERUSALEM, DEC. 10, 2012 (Zenit.org…).- Being a Christian in the Holy Land is not a simple coincidence — it’s a vocation, says Auxiliary Bishop William Shomali of Jerusalem. And for Christians to stop their exodus from the land of Jesus’ birth, there must be lasting peace, the prelate affirms. To stop the Christian population from dwindling, Bishop Shomali told the charity Aid to the Church in Need, prayer is the only solution, because the Israeli-Palestinian conflict is “incurable” and requires God’s help. “However,” he added, “the more pilgrimages there are, the more the tourist industry functions, and then the more work there is to be had. Echoing Benedict XVI’s exhortation “Ecclesia in Medio Oriente,” the bishop declared that Christians in Israel and the Palestinian territories are called to be witnesses to their faith. Bishop Shomali also stressed that only God can provide the lasting peace the region needs. “I continue to say to my pilgrims that in human terms there is no solution for the Israeli-Palestinian problem, for the nature of the problem is ideological,” he explained. “And so, in this Year of Faith, we must know that nothing is impossible for God. No, nothing is impossible for God. “In general terms we pray when we cannot do for ourselves the things we want to do. “For example, if I am suffering from an incurable illness, I ask God to help me, and I know that God can perform miracles. Considering a trip to the Holy Land? Discover the real Israel/Palestine, touring with Father Labib Kobti. Click here for more info. Tags: israel and palestine religion. Filed under Israel and Palestine, israel and palestine religious conflict by Father Dave on Dec 12th, 2012. Comment. Deeply encouraging are the wise words of Rabbi Arthur Waskow. He calls a spade a spade – labelling the Israeli government’s lust for power as a form of idolatry. For me, the most important physical danger threatening the Jewish people, as part of human civilization and the web of life on Earth, is the climate crisis; and the most crucial vision and values the Jewish community can offer the world are those that help us all walk away from the Climate Cliff. So if facing that issue is both most urgent and most helpful, why do I still spend time on Israel-Palestine and related matters? Its dark and bloody underside is this: It is repeated 36 times in the Torah. Why? Because to repeat the command so often means it is being rejected, disobeyed. But the Torah out of the experience of many generations comes to warn us: That response is a profound ethical and practical mistake. It turns our empowerment to free ourselves into top-down power over others, and into arrogant Over-reaching. Far wiser to empathize with the oppressed than to identify with the oppressor. Hard to learn, but crucial. For the Torah, that oppression was Egypt. For Israeli Jews today, it was the Holocaust. And the policy of some Israeli political and cultural forces has been to reiterate and deepen that post-traumatic response. For those Israelis who have been cozened by the restimulation of the trauma, I have great compassion – though that does not diminish my strong opposition to the policies that flow from it. The Palestinian people has also experienced a deep trauma, and for some of them too, that leads to unethical and self-destructive violence and rejection. Again, what I feel is both compassion and strong opposition. What we need instead, for both peoples, are spiritual and cultural and political practices aimed to transcend trauma, not to intensify it. The trauma continues among some American Jews, but American society encourages a more generous direction. In the story of the Maccabees, much worse than the Imperial edict ordering idolatry was that parts of the Jewish community obey the power-addicted King/ Emperor Antiochus, and bowed down to idols. It was only when some in Mattathias’ own home town bowed to idols in the public square that Mattathias went berserk, or sane, and went underground to organize a guerrilla rebellion. 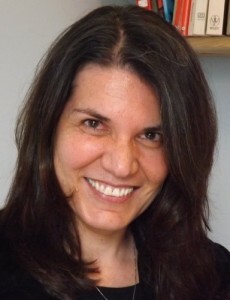 Just so, I am most outraged when some among my own “kinfolk” – that is, not only the donors and leaders of some ”official” American Jewish organizations but even some who claim to be seeking to renew Judaism – bow down to the Idol of power-addiction and aggressive violence in the Israeli government when they would never justify such actions by any other government, including that of the USA. Some American Jews are driven internally into this idolatry by their own traumatization. Others – especially some among the “official” leaders – know and will say in private that they understand the Israeli government’s policy is leading to disaster, but perks of prestige and money dispensed by King ‘Yahu and his courtiers keep them captive, far more supportive of the King than are the grass-roots members of their own organizations. Even though the murdered Palestinian had been violent before, the murder cannot be justified. Suppose an angry Palestinian had murdered the former terrorist Menachem Begin, precisely to prevent his signing the peace treaty with Egypt when he became Prime Minister of Israel. Would that have been condonable on the principle that Begin had been a terrorist? Moreover, noch worser, some have asserted it would have been ethical and legitimate for the Government of Israel to prepare a truce agreement and pretend to be willing to affirm it precisely as a ruse to trick General Jabari to appear in public so that he might be more easily murdered. Reading such a statenent, words fail me. Indeed, my bowels and belly fail me. Do we any longer have a sense of smell sensitive enough to know when our names begin to stink? Shalom, salaam – Arthur. My Hebrew name is “Avraham Yitzchak Yishmael Yam: Abraham Isaac Ishmael Ocean.” I am proud to bear ALL those names, even through it is hard to bear the pain when the children of the first, through the children of the second and the third, murder each other. Tags: american jewish organizations, israel and palestine religion, israel and palestine religious conflict. Filed under Israel and Palestine, israel and palestine articles, israel and palestine religious conflict by Father Dave on Dec 11th, 2012. Comment.